I had a lot of hopes for this brand when I recieved this product but I felt a little deflated after trying it. It does hydrate but it didn't deliver for my olfactory organs, and I wouldn't choose it solely on these grounds when I feel it carries quite a high price tag. Others may not find it so. Nice hand cream. It has a light, pleasant fragrance. I use this at night. I would use it all day long except that it is cost expensive. It absorbs quickly and isn't greasy. It does make my nails and hands feel very soft. 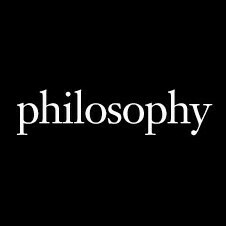 I mention in another review that I really wanted to like the philosophy range but they really make it difficult. I really thought I couldn't go wrong with the hand cream but hands of hope is very simple and really doesn't make any impact at all. It feel far less value for money than much cheaper creams and either I have particularly dense skin or it really doesn't absorb. The scent is dull and the texture very oily (I really felt that I needed to wipe my hands after using it). Overall not one for me. I have just completed a trial of the Hands of Hope Hand & cuticle Cream by Philosophy. Hand cream has been a daily staple in my beauty regime for many years and I am always keen to try new ranges in the hope that I will find a cream that will force me to change the brand that I have used for the past 10 years. I have always been attracted by Philosophy who have a unique and quirky packaging design for each and every one of their products. Each product is printed with an individual ‘philosophy’ that is conducive to the product within. The Hands of Hope Cream is housed in a simple white, easy squeeze tube with a black screw top lid and black print. The cream itself has a medium consistency and is opaque white in colour. When testing a cream based product for the first time I like to test the concentration of the product. They way that I do this is to dispense a maximum of a pea size to begin with. The true sign of a high quality product is its performance by using only a small amount. My current and staple hand cream has a very thick consistency as my hands suffer from dryness so I had slight reservations when I noted the thinner consistency of this product. When massaged between the hands this lovely cream absorbs rapidly and easily and leaves no greasy residue or tackiness. It has a beautiful comforting feel on the skin and I was thrilled to feel that it has a high moisturisation capability for such a lightweight cream. I am assuming that this product is fragrance free, as whilst there is a slight scent to the product, it is not perfumed in any way. I often appreciate unfragranced products however I did feel that this lovely hand cream could benefit from a mild fragrance at least to make it more appealing to a wider range of users. I would recommend as it is a nice natural cream but personally at the price I wouldn't buy it. there are much nicer, equally natural hand and cuticle creams that smell gorgeous. I really love the Opulentia Organics one and that would be my preference or the Lush Lemony Flutter which smells divine and works really well too.